New Episode Every Saturday ! Today, St. Michael the Archangel offers his very powerful and loving channeled message on how God loves to hear His people come to Him; and assisted all who are willing in an "Angel Light Exercise", opening our hearts to God Holy and Perfect Love. Enjoy ! Does everyone have ... See More angels? They sure do! Join Yvette as she channels messages from the angels, which helps to bring us to our natural state of joy, love and peace. The angel’s messages bring blessings to everyone involved. 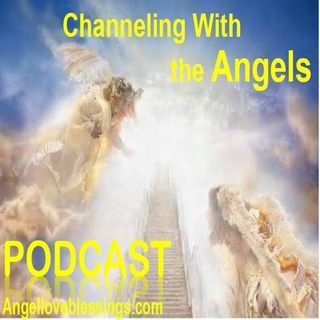 Learn more about the angel realm and if willing, all can enjoy the very high vibrational Angel Light Exercises with the angels and Archangels every time you listen! Angel Light Exercises are always healing, uplifting, very powerful, life changing and loving!